Davida Stocklan held an elegant end of summer gathering at her summer home in North Falmouth for Jewish National Fund’s (JNF) Sapphire Society, the women’s major donor division of JNF. Members share a special bond through their commitment to Zionism, helping to strengthen Israel and enrich the quality of life for Israeli families. Sapphire Society members are included in high-level briefings with Israeli dignitaries; receive VIP status in Israel, and permanent recognition at the American Independence Park in Israel. Speaker Lauren Mescon, Chair of JNF’s Central Arava Task Force 2020, shared the vision, as part of JNF’s Blueprint Negev campaign to double the population of Israel’s Central Arava region over the next decade, with projects such as a new medical center and the Arava International Center for Agricultural Training (AICAT). The Central Arava covers more than 370,000 acres—approximately 6% of Israel’s total land mass—but is inhabited by just 3,300 people scattered throughout seven communities. The Arava region is not only a unique agricultural area, but it also offers many benefits not available in central Israel: a peaceful way of life, being close to nature and a strong connection to the land and community. 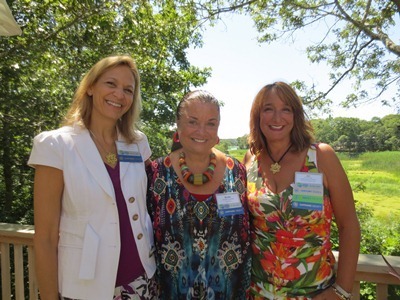 (L-R) JNF Sapphire Society members Lauren Mescon, Stocklan and Sapphire Society President, New England Executive Board member and Vice President of JNF’s Parsons Water Fund Amy Parsons.